Downloadable: Where is my download? Downloadable: I did not receive an e-mail with a link, what should I do? Downloadable: I did not download my e-book within 24 hours after purchasing the e-book, how do I download my missing e-book? How can I order Design-A-Study products? Do you sent, rent, lease, or share any of my information? How much will it cost to ship my order? How long will it take to arrive? Can arrival be sped up? My package hasn’t arrived, can you help? When you click the link in the e-mail, your web browser should begin downloading the file. This means that your file is on your computer. Many computers will place downloaded files in a folder called My Downloads or on your Desktop. Check there first. First, check your SPAM or junk folder in your e-mail. Look for an e-mail with the subject: Design-A-Study thanks you for your recent purchase. It should have come from kathryn@designastudy.com and may say that it was sent from or processed by our web host (DreamHost). Second, if the e-mail is still not present then do the following. 1) Make sure that kathryn@designastudy.com is whitelisted in your e-mail (you may want to whitelist dreamhost.com addresses as well), 2) go to Previous Purchases in the menu (it’s the only dropdown option when hovering over Digital Products), 3) complete the form (if you are missing your transaction ID then please contact us), and your download links should arrive in your e-mail. If you do not have your transaction ID (this is not the transaction number from PayPal), then you need to contact us at kathryn@designastudy.com and we will forward your transaction ID number so that you can do the following: 1) Go to Previous Purchases in the menu (it’s the only dropdown option when hovering over Digital Products), 2) complete the form, and your download links should arrive in your e-mail. Order online: www.designastudy.com. Your ordering information is secured through PayPal. We guard your privacy. No client information will be made available to anyone else. Quick Service! Orders are processed and shipped within 24-48 hours. PayPal is used to process payment. PayPal is capable to processing a variety of major credit cards, debit cards, and checks via linked bank account. U.S. orders are shipped USPS media mail and should arrive within 3-10 business days of shipment. The cost of shipping is a flat $5 and the shipping fee is dropped once physical goods total $75 or more in the cart. Canadian orders would be shipped USPS parcel post and should arrive within 1-3 weeks. The cost added to your order is a minimum of $8.00 or 20% of your order total. International orders are shipped USPS surface mail and should arrive within 4-6 weeks. The cost added to your order is a minimum of $9.00 or 20% of your order total. Unfortunately, no. Please order e-books for instant delivery. Order hasn’t arrived as expected? Phone 1.302.998.3889 or e-mail kathryn@designastudy.com. 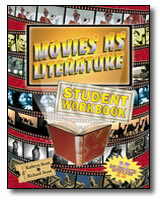 Movies As Literature Student Workbook includes the instructions to the student, lesson questions, and glossary found in Movies As Literature. In addition, it contains movie trivia and space for students to write notes or answers. 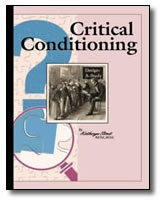 Discounts for purchases of 3 or more Movies As Literature Student Workbooks.